Colleague Endorsement | Theft or shoplifting case in Washington State? We can help! Patty is a wonderful trial lawyer. She gets so much respect from prosecutors in the courtroom. Prosecutors appreciate her aggressiveness on behalf of her Client, but they don't get offended or take it personally. That is not always an easy thing to accomplish ! 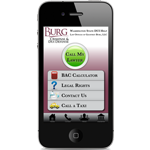 I have watched her many times take very very difficult cases, and get marvelous results for her Clients. Whenever I have a drivers licensing question I can't figure out, she is an amazing 'storehouse' of information that is always spot on. Whenever we are in Court on matters, I see someone who always tries to be pragmatic, reasonable and problem solving in a way that shows care and concern for the Client. I often call her for second opinions.She always puts the needs of the Client first. It is quite evident that she enjoys helping others, and enjoys her practice.